The founder of Les Art et les Artistes was Armand Daycot (1851-1934), a noted French art critic, historian and leftist politician, who was director of the journal throughout its history. 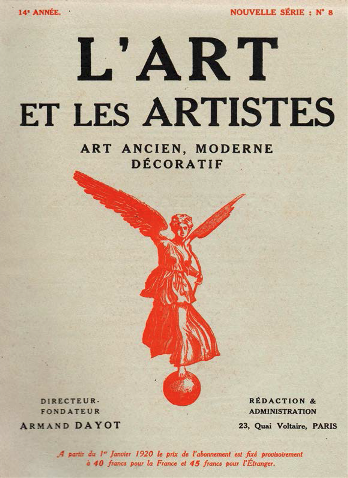 Mainly contains articles on contemporary French Salon art, with occasional articles on early French art. During World War One, publication was suspended between October 1915 and February 1918.